The cake was completely edible (apart from the ribbon! 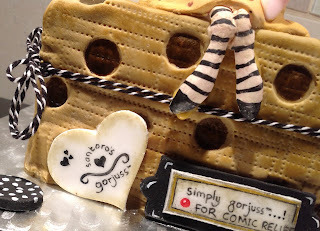 ), gluten free and won the Comic Relief Bake Off which was fantastic! It took about 9 hours to do from start to finish, but would probably be much quicker for someone following the step by steps. I did an hour or so here and there (between work, school runs and housework! ), and it didn't seem that long - I was surprised when I added it all up! 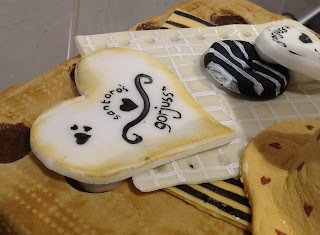 If you have any links to projects you have done using sugar paste, I would love you to paste them into a comment. 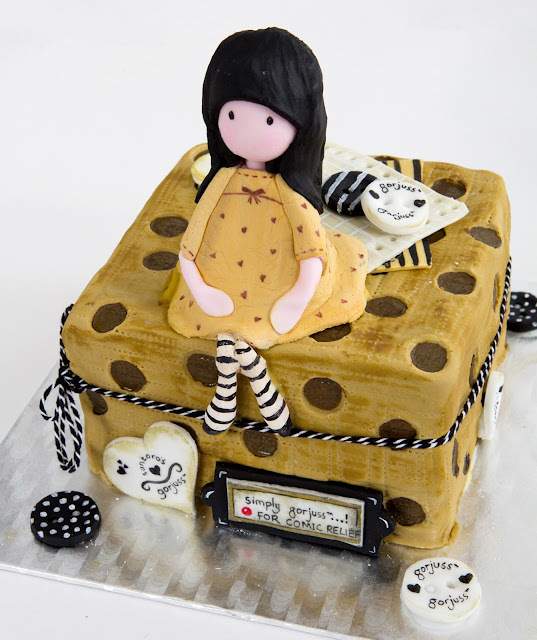 I have completely got the cake making bug now - I am dreaming up one for my hubby next month, that will be a challenge! your post's to be precisely what I'm looking for. I wouldn't mind creating a post or elaborating on a few of the subjects you write concerning here. Again, awesome blog! My girls. Photo taken by Louise Jolley. 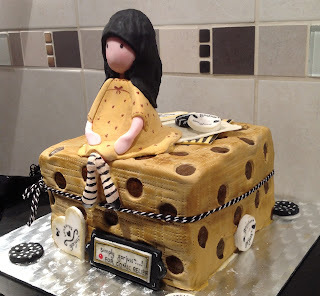 The Tag Lady | Crafty creations using buttons,brown paper and string (amongst other things). 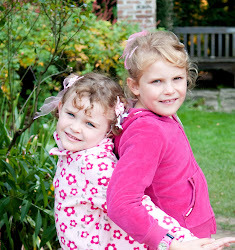 Stay At Home Mum Loving It Blog - From Marketing to Mummy in the blink of an eye! Sticker Kitten - a blog about stickers!